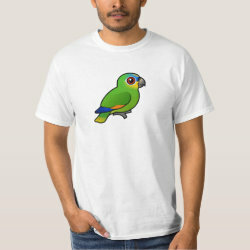 The Orange-winged Amazon, aka Orange-winged Parrot, is a mostly green parrot species which has patches of orange on the wing. 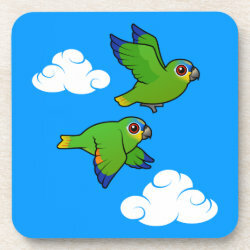 These orange patches are most visible in flight (see in-flight design). 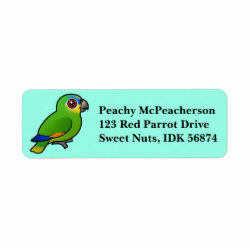 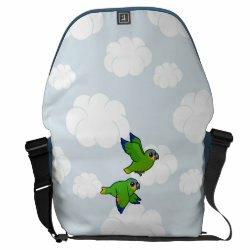 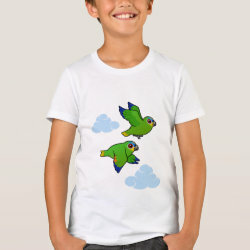 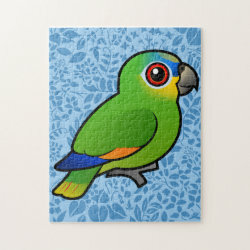 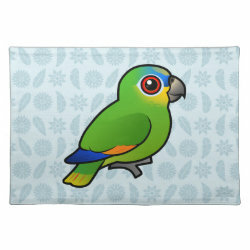 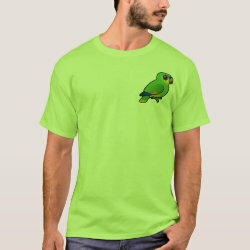 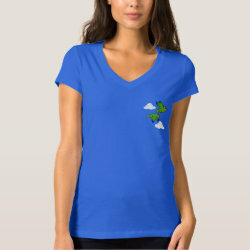 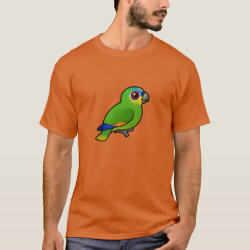 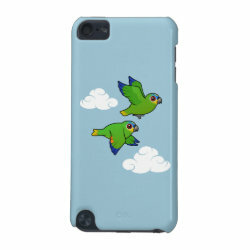 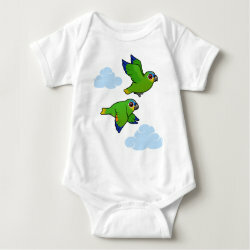 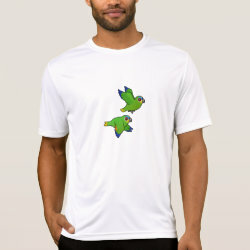 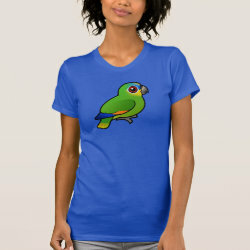 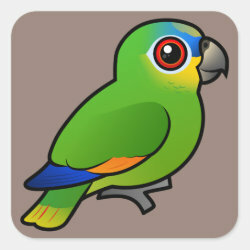 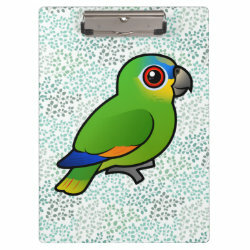 A mostly green parrot with blue and yellow on the face... and orange on the wings, natch. 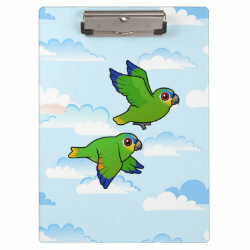 Orange-winged Amazons flying free - and showing off the namesake wing patch.